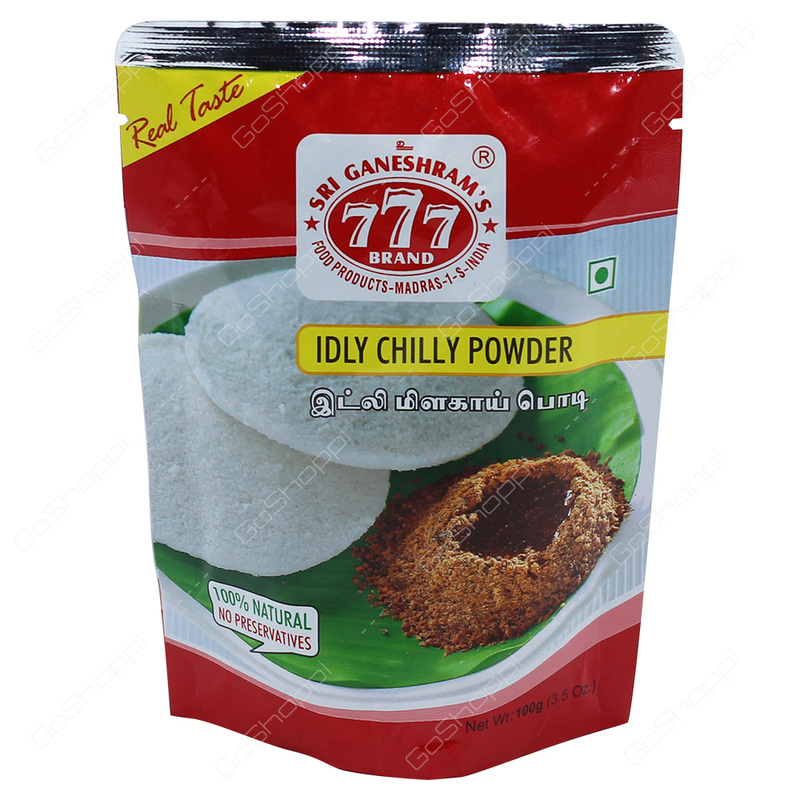 777 Idli Chilly Powder is a delicious preparation of careful blends of lentils, spices and red chilies to give the right flavor and taste. It is very good combination for idlies, dosai, oothappam and even for adai. Idli Chilly Powder is served with sesame oil or desi ghee.